For more than 40 years, Killefer Flammang Architects has been at the leading edge of multifamily design, contributing to the never-ending evolution of the Los Angeles landscape. For more than 40 years, Killefer Flammang Architects has been at the leading edge of multifamily design, contributing to the never-ending evolution of the Los Angeles landscape. The Santa Monica-based firm’s work reflects larger design trends; its credits run the gamut of market-rate, affordable, senior-friendly and adaptive reuse projects. Transformation marks many of its commissions, which are highlighted by projects like the adaptive reuse of downtown hotels and the redevelopment of sprawling sites into live-work-play campuses. In a wide-ranging conversation, two of the firm’s partners, Lise Bornstein and Jonathan Watts, discussed what’s on the horizon. MHN: Which L.A. neighborhoods are the most active for multifamily projects today? Bornstein: South L.A., Inglewood and Jefferson Park. With the Metro Expo Line light rail coming in, opportunities along these transit corridors are really blossoming. Bornstein: Yes, finally. The Expo Line extends from downtown L.A. all the way out here to Santa Monica. (Los Angeles County) Measure M passed this last election, which is a huge regional approach for finding a permanent source of funding for transit in all of the L.A. region. I hope developers will see the opportunities beyond the obvious ones. West L.A. is obvious. Watts: But it’s also very expensive. As the line gets more established in the western areas, developers are looking at large pieces of land where it’s a lot cheaper. 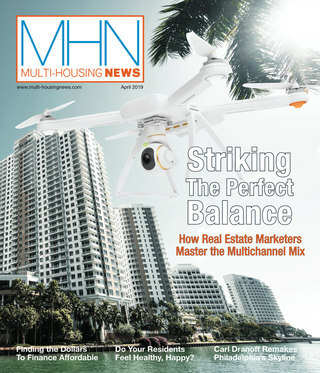 MHN: Do you see an uptick in demand for any multifamily categories? Watts: It’s pretty consistent across all the types we do. There’s a strong demand still for market-rate, especially using the California Density Bonus Law, which includes affordable housing and allows up to a 35 percent density bonus over the zoning code. Adaptive reuse has come back strongly, including Freehand LA, a hotel we’re doing in the old Commercial Exchange building downtown. It’s a less expensive, highly amenitized hotel, stylish and cool. And we are doing a hotel called the Nomad, a mite higher-end. They’re both 1915, 12-story, unreinforced concrete masonry buildings. There’s also an attempt to adapt 1950s and 1960s buildings. The Mid-Century Modern period here in Los Angeles is very strong, and those buildings are becoming more sought after. Affordable housing is definitely in demand, because of the California ballot Measure HHH that passed last November for housing the homeless. MHN: When you consider the diversity of KFA’s multifamily work, can you point to any connecting threads? Bornstein: We don’t stay with one style. Los Angeles is like any big city, a mosaic of many neighborhoods and characteristics. Our projects reflect those communities stylistically, programmatically and community-wise. It’s also transferring to the inside of the buildings. We have “micro-campuses” in our housing projects that not only include retail and the requisite gym but an edible garden and other ways of extending of social space to the community. Watts: It’s like doing urban design rather than building design. All the buildings respond to their site and their context and the pedestrian activity. 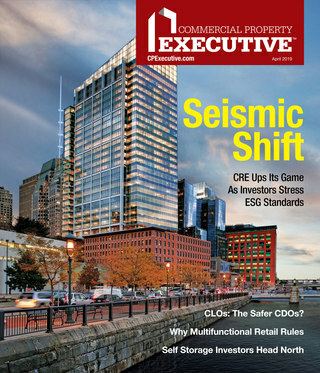 MHN: What challenges are associated with specific multifamily categories? Bornstein: In affordable right now, there’s a drive to create social spaces for people who tend to be isolated, especially seniors and the mentally ill. We’ve created shared balconies and edible gardens where people can come together over growing healthy food. MHN: How does your approach reflect the Southern California setting? Bornstein: Climate has a lot to do with how we approach not just materials but also how we open up our buildings. Watts: What’s great about working in Los Angeles is scale. We’re doing some very new projects on La Cienega Boulevard and La Brea Avenue. They’re six lanes wide and the scale is huge—not a place to sit outside and look at the street, but you still want people to feel at home. At the La Cienega site, one side is the boulevard and the other side is a single-family home neighborhood. We virtually divided up the building to the scale of each side, and most social spaces are in the smaller-scale places. We’re also doing more rooftop pools because people want to get away from the busyness of the street. And we’re looking at more home offices and common meeting spaces and demonstration kitchens. The Midcentury Modern buildings had it right, with white facades and stronger, simple forms without all the dancing, articulated designs. The last few projects we are designing now have a much simpler form than what we were doing 10 years ago. MHN: Could you give us an example or two of your current projects? Bornstein: Ivy Station is a 5.2-acre, mixed-use, transit-oriented, infill development adjacent to the Metro Expo Line station in Culver City. Situated at the intersection of Venice, Washington and National boulevards, it will have offices, apartments, a hotel and public open space. Watts: There’s a 230,000-square-foot office building; a 148-key, boutique-y and neighborhood-y hotel; 60,000 square feet of retail with four or five restaurants; and 200 apartments. The challenge was to create the right type (of) buildings in the space and in a triangular site. These are not the normal spaces for multifamily housing. These are much more dynamic spaces that are much more linked to the public space. My concept was to get the cars off the site immediately (and into parking garages). The whole parcel is walkable. It’s porous. It invites the public into what is really a private development. The target market is the creative class who wants to live next to the train station and be social. I think we’ll also get a lot of empty nesters. We have studio units for the 30-year-old who is starting to make money, and upstairs units with a mezzanine and a deck for a retired couple who want to not be in a one-bedroom, one-bath. The offices will come first, then residential and then the hotel. The project should be finished in three years. The developer is Lowe Enterprises, partnered with AECOM Capital. In Chatsworth, KFA is working on 24, a residential, office and retail campus on the 24-acre site of a former Los Angeles Times printing plant. MGA Entertainment, maker of Bratz dolls and Little Tikes toys, will occupy the 255,000-square-foot plant building at Winnetka Avenue and Prairie Street. Four new buildings will contain 660 apartments and neighborhood retail space. Amenities will include a gym, two pools, a sports park, a dog park, community gardens, a preschool, a yoga studio, outdoor walking tracks and an amphitheater. Bornstein: The site is huge and is geared toward a ground-plane experience with the printing building at the center. Not only is MGA a long-term player in the (San Fernando) Valley, they’re the thread of this artistic, productive energy. Our buildings ring the site but break often to allow for connections into the project. We see it almost as a string that kind of flows around the perimeter of a site with three themes: health and wellness, community and social gatherings, and fun and whimsy. We used that to approach the buildings with playful pops of color and zigzags. The idea of people who will work and also live there affected the design. There’s a lot of indoor-outdoor space. Looking at the way people live drives a lot of why this campus is even feasible. Ten or 15 years ago, I think it would have been an office park. I love that our client came to us with this idea.